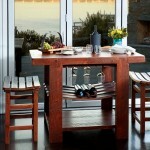 Barrel Stave Tasting Table & Stools Set (p/n 16987). 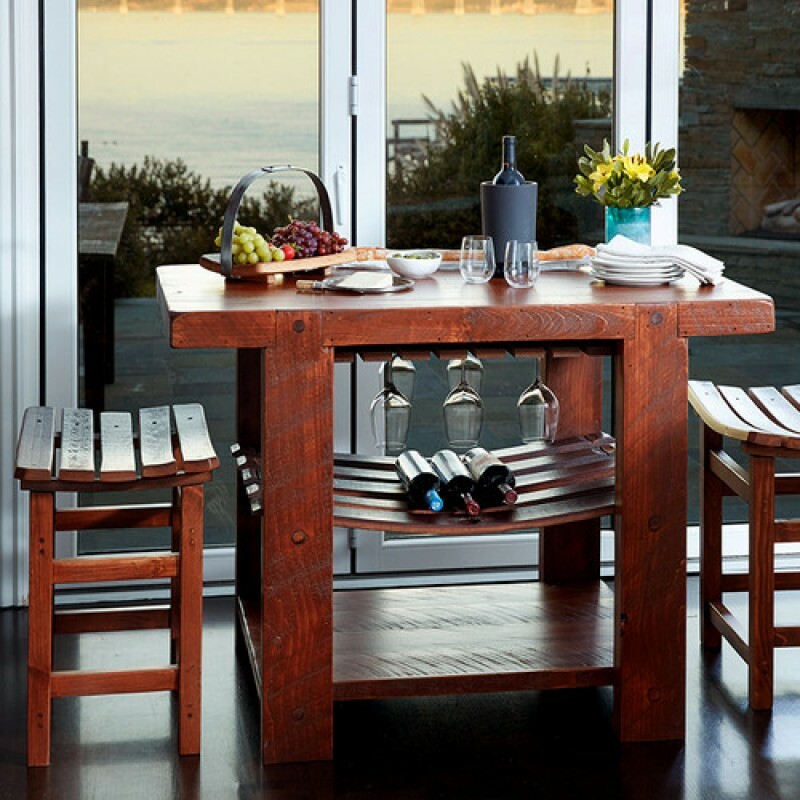 A wine barrel repurposed into an uncommonly beautiful table and stools. 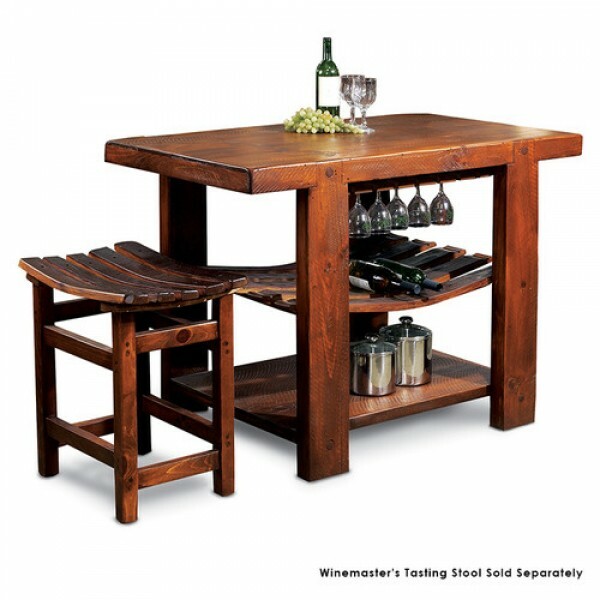 Perfect as a tasting table in your cellar, a breakfast table in your kitchen or a game table in your family room. Handcrafted from reclaimed wine barrel staves with a solid pine top and base, there is ample storage for up to 14 stems and 20 wine bottles. Hand finished in a warm Vintage Brown stain. Please allow 3-4 weeks for delivery. 10% Savings when you purchase the table and stools together.